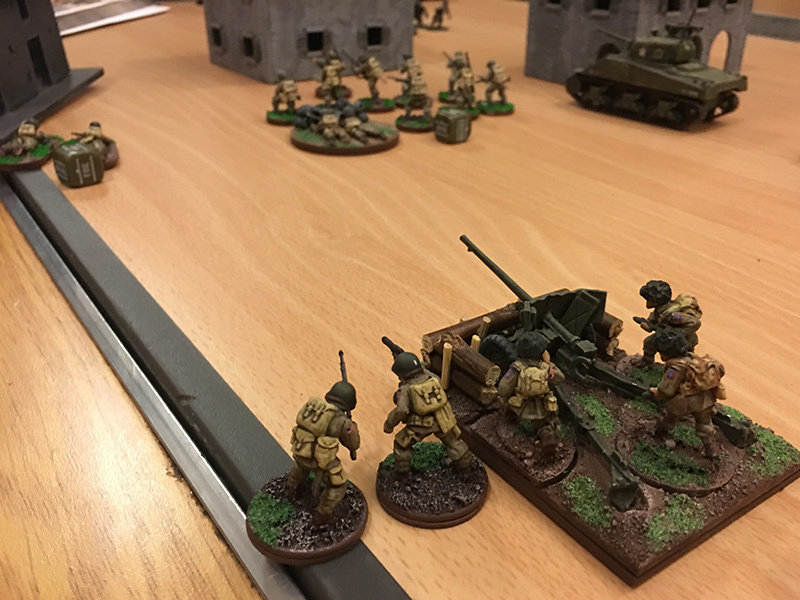 We had a game of Bolt Action down the wargame club this week. 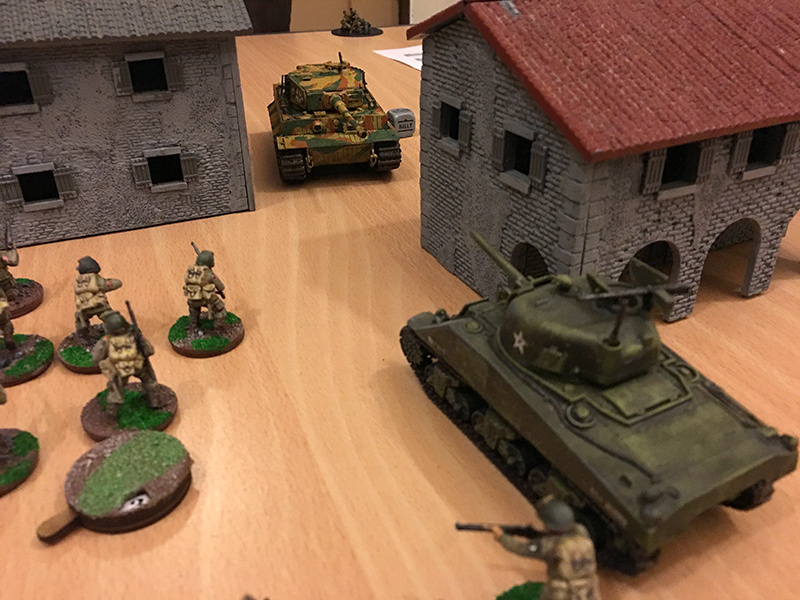 After an absence of about five weeks it was good to get some more wargaming in. The only problem was that because of the time we haven’t played we had forgotten some of the game mechanics. We didn’t start the game until about 8.20 so it was always going to be an unfinished game as we have to pack up by 10pm. 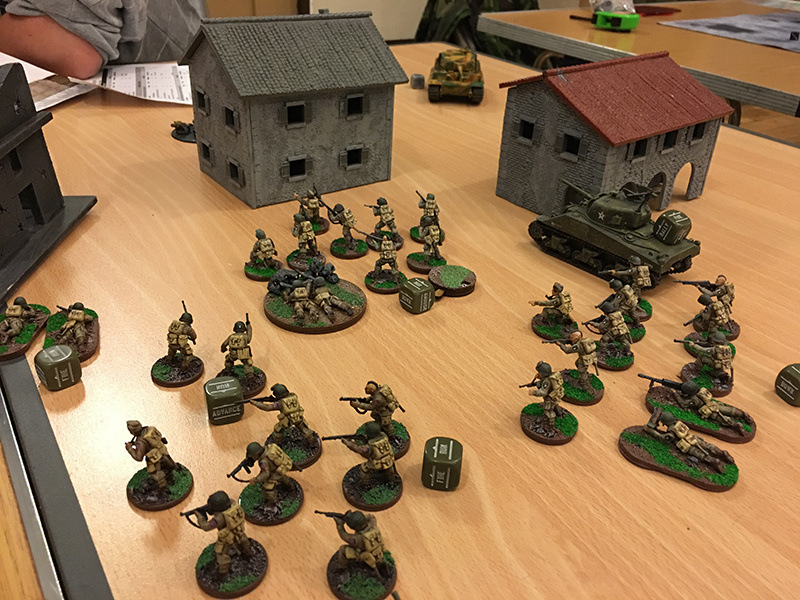 I took my American Airborne and fielded 1000 points of mainly 101st Airborne, their second ever battle. 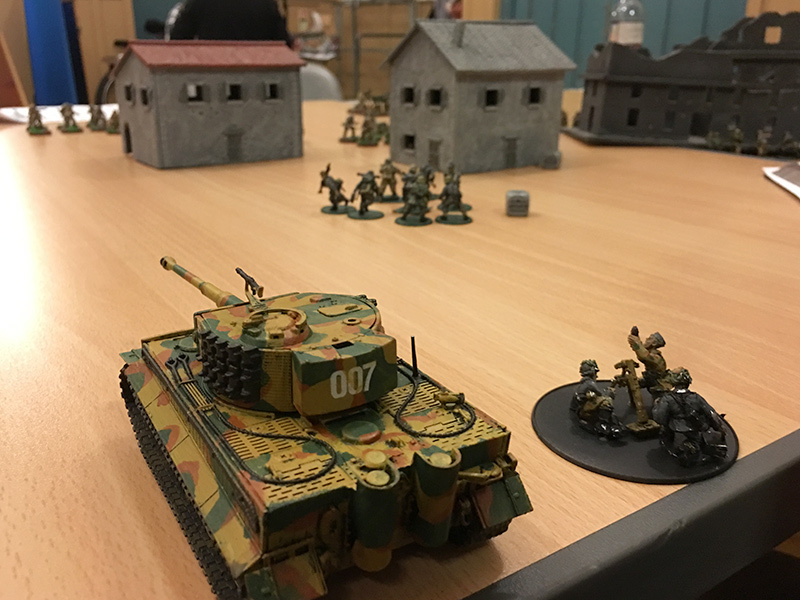 Mark had his 100 point German Army which included his Tiger. The first couple of turns involved both sides advancing towards the village. 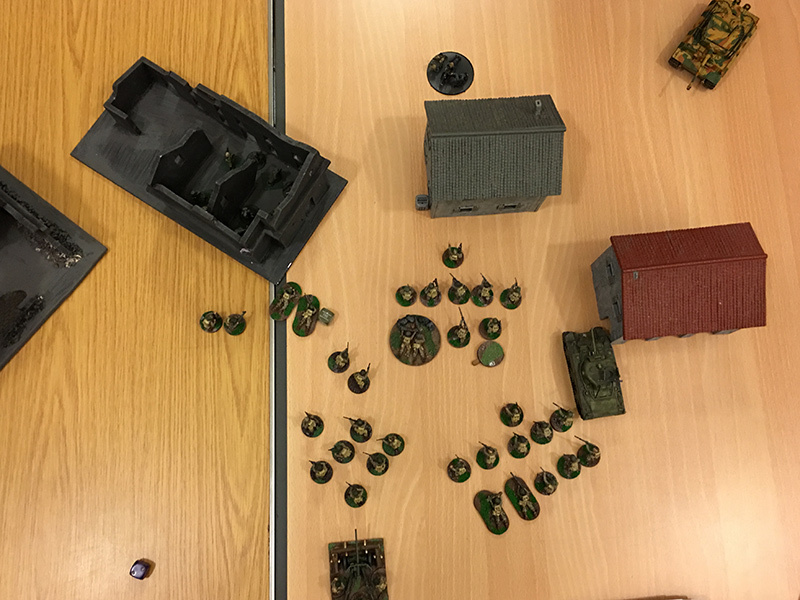 Due to a geographical advantage, the Germans got there first and most of the infantry managed to get into the house and ruins. The German Tiger, which has proved to have the worst gun aimer in the game, continued its run of bad luck with misses on the American Sherman. The German mortar team didn’t fare much better with misses on the American artillery and second Airborne squad. Meanwhile the Americans advanced towards the village from the opposite side. Feinting an advance on the right the 3rd Airborne squad veered across the centre of the board to assist in a potential assault on the ruins, supported by the Sherman. The American artillery unit was out of the game for three turns as American infantry ahead of it impeded its targeting. 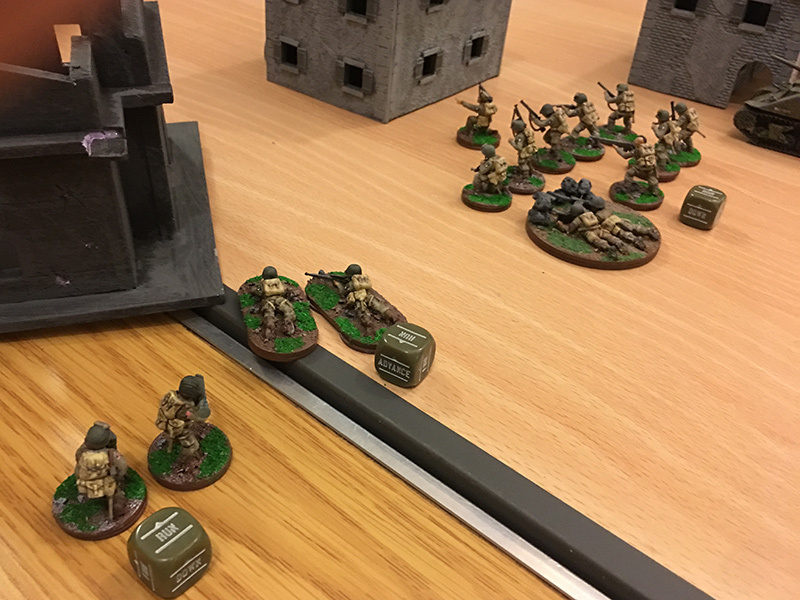 The Germans in the building were able to take casualties from two of the Airborne units without a return of fire as the Americans got closer to the walls ready for an assault. The Sherman hit the Tiger as it advanced towards the village from the German lines but was not able to cause any damage, then the Tiger opened fire from close range and rendered the Sherman immovable. 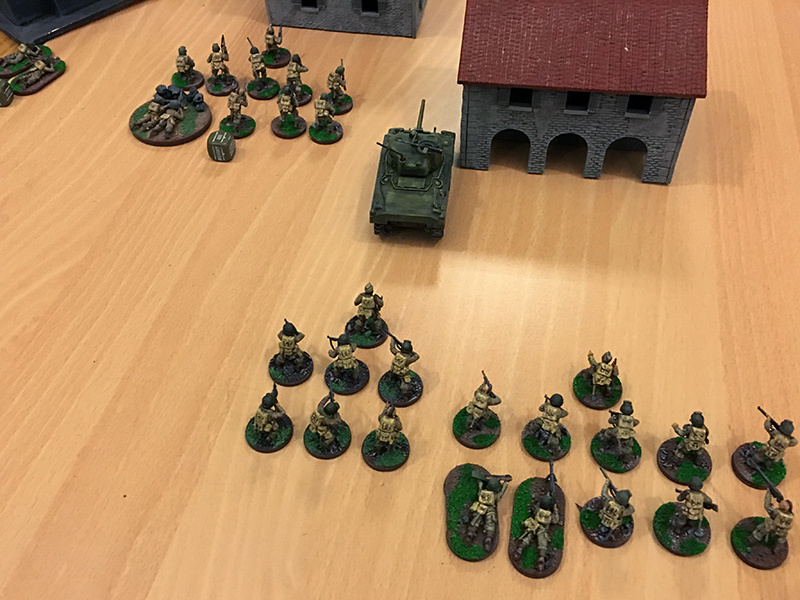 The last turn of the game saw the Americans take some casualties of the German units in both the house and ruins, the Germans took a few more Airborne casualties but unfortunately time ran out before hand to hand fighting could start. A useful game, if only to remind us of some of the stuff we’d forgotten over the previous gap weeks.